"Savall's notes make it clear that his intention was not so much to re-create a musical performance of the time as to pay tribute to the jongleurs in pieces that re-create ``a certain art of sounding the bow.'' The re-creations draw on what have become almost stereotypical melodic and rhythmic figures of the music of the Islamic, Jewish, and Christian cultures of the Middle Ages, periodically spiced, as in the Danza del viento, with spiky rhythms that could plausibly have originated in modern jazz improvisation. 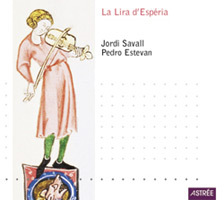 Given its eclectic nature, this collection is therefore a tribute as well to the adventurous spirit of Jordi Savall himself, and each of the short pieces is so vividly retouched that the question of authenticity seems irrelevant. Like the best performances of more familiar literature by exponents of the period-instrument movement, this exploration of instrumental timbres is a successful experiment in combining those timbres with various melodic and rhythmic figures. Even the familiar dances, such as the second saltarello, respond to this creative approach. But the program as a whole, varied and well planned, is as interesting as the individual pieces of which it is comprised. While this anthology offers exploration rather than explanation and hypotheses rather than conclusions, it's a satisfying musical experience on its own terms -- the only terms on which it is intended to be taken. 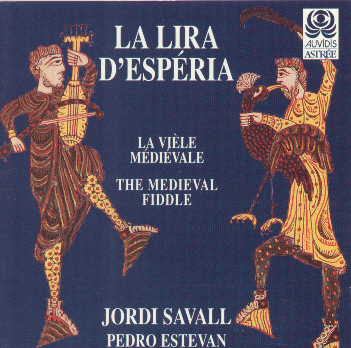 For the beauty of Savall's tone on each of the instruments he plays, for the clarity and presence of the recording, and most of all for the vibrant creative energy of the performance, this release comes highly recommended." "... c'est le Savall des grands jours qui y opère : un virtuose sidérant passant des vièles à archet à la lira à six cordes (le plus proche ancêtre de la viole) et au rebab. Un jongleur se réveille ici, qui s'acharne à arracher au temps ces musiques des commencements."